This match was one of England’s finest performances away from home. The Italian team were the current World Cup holders, Olympic champions and Central European Cup holders, although it was a completely different set of players to the one that had played the last match against England, in 1939. World War II had intervened but for the Italians, continuity came in the form of their manager and coach, Vittorio Pozzo, who had presided over their unbeaten run from 1934 until the outbreak of war in 1939. In addition, seven of the side came from the virtually unbeatable Torino side who dominated the Italian League. The Italian side had been preparing together for some months before the match. In contrast, England had only just appointed their first coach, Walter Winterbottom, as an experiment. He was not in charge of team selection, and had not yet managed to get any agreement from the clubs or the FA for the team to get together on a regular basis. 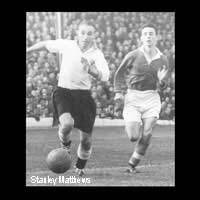 Only two England players survived from that 1939 encounter, wing wizard Stanley Matthews and centre-forward Tommy Lawton. Three factors played a big part in the match for England. The first was that the FA’s International Selection Committee had finally come to terms with playing both Matthews and Tom Finney in the same side, Finney moving to left-wing rather than his usual right. Along with Stan Mortensen, Lawton and the visionary Wilf Mannion, England had a formidable front line and an opportunity to adopt a very positive attacking mentality, which they duly did. The second was the defensive partnership of Billy Wright and Neil Franklin, who had started playing together for England after the war and had now gelled superbly, giving the midfield a solid base. The third factor was the inspirational appointment of Frank Swift, the Manchester United goalkeeper, as captain. In a difficult match against Scotland a month previously the regular captain, Middlesbrough’s George Hardwick, had suffered a knee injury which was ultimately to end his international career. Swift himself had picked up rib injuries but was determined to play and completely motivated by the captaincy. England surprised Italy by scoring in the opening five minutes. Stan Mortensen raced down the right wing, cut in and unleashed a screamer that caught the Italian keeper off guard, thought by some to have been a mishift cross rather than a shot. Italy rallied as expected and stormed the English goal but Swift was in stunning form, simply refusing to let anything beat him. He, along with Wright and Franklin, held the ship steady until Mortensen once more gave England an outlet. In the twenty-fourth minute he slipped a superb through ball to Tommy Lawton, and once more an early shot surprised the keeper. In the second half both sides began to wilt under the heat but two goals from Tom Finney in quick succession half way through the session finished the Italians off. The Italians were graceful in defeat, posters of the English side appearing in bars and taverns in Turin after the match, but it was the beginning of the end for Pozzo. The Italians would lose their Olympic crown a few months later, at the games in London, and he stepped down soon after. Tragedy clouds the win, however as both captains would later die in plane crashes. Frank Swift turned to reporting after the end of his playing career, and lost his life in the Munich air disaster that claimed the lives of many of the Manchester United team, but before that an even greater tragedy, arguably, hit Turin. A year later Valentino Mazzola was among those killed in the Superga disaster, when a plane returning the team from a match against Benfica crashed. All 31 people on board perished, including the whole first team bar two players, the accompanying management, club officials and reporters.